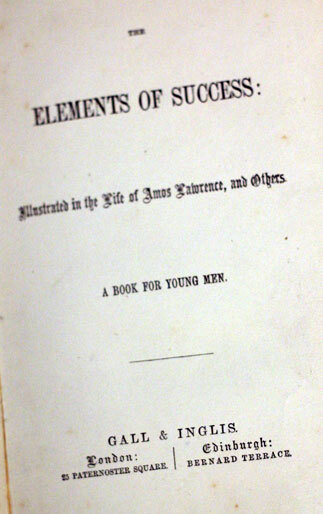 Title: The Elements of Success: Illustrated in the Life of Amos Lawrence, and Others: A Book for Young Men. 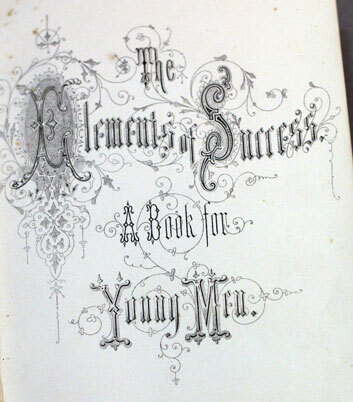 Publisher: Gall and Inglis, exact date unknown. Research reveals it to be before 1870. 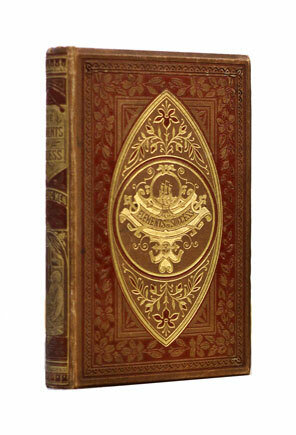 Condition: Hardcover, ornately decorated red cloth. In good condition overall – binding slightly strained.